Global leaders met yesterday in New York to review progress against the target to halve food waste by 2030. 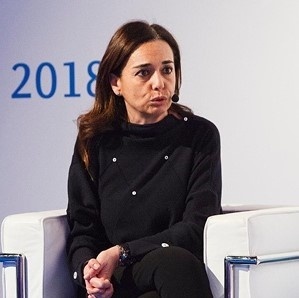 One of the key participants, Stefania Lallai, Sustainability and External Relations Director at Costa Cruises, showed how the company is moving forward to reach its ambitious target to half food waste by 2020. Costa has already made significant progress showing a strong commitment in the sustainability field. In September 2015, the United Nations adopted 17 Sustainable Development Goals (SDGs), to ensure sustainable consumption and production patterns. Goal 12.3 calls for halving global food waste at the retail and consumer levels and reducing food losses along production and supply chains by 2030. Champions 12.3 was born out of this goal and it is aimed at creating conditions to meet the target. At yesterday’s meeting, Stefania Lallai contributed to a panel discussion focusing on the corporate role in motivating food waste reduction. Costa Cruise’s business model is oriented towards sustainable development and the company’s determination is to actively contribute to the conservation of resources for future generations. For Costa Cruises, reducing food waste is one of the main challenges of the 2030 Agenda for Sustainable Development the cruise line is focusing on. 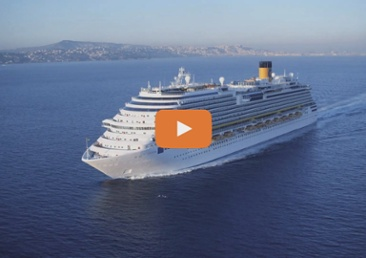 As part of its 4GOODFOOD programme, in early 2017, Costa Cruises first piloted a number of projects to reduce food waste on Costa Diadema, their flagship vessel. This included measuring and preventing food waste with Winnow, using the “Taste don’t Waste” programme to help sensitize guests about minimizing leftovers and donating any surplus food to Fondazione Banco Alimentare. Preparing food at sea and at massive scale presents a unique set of challenges. Through its comprehensive, forward-thinking program Costa is addressing the food waste problem with a unique program in a very consistent way. They are already halfway to their 50% food waste reduction target. For the team at Winnow, we are proud to be helping Costa Cruises achieve their target of having food waste by 2020, which is 10 years earlier than the 2030 agenda. Based on the success of the initiative, Costa has enrolled the programme out to its entire fleet. Today, almost all the Costa ships are live with Winnow. Costa has been innovator in bringing digital smart scales that enable to reach strong results.